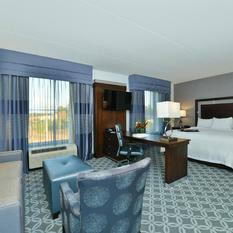 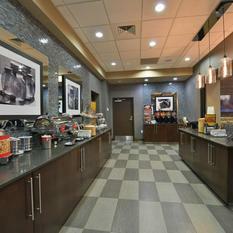 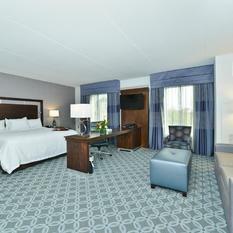 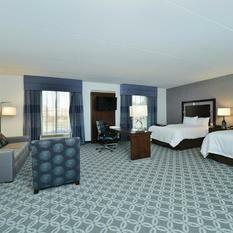 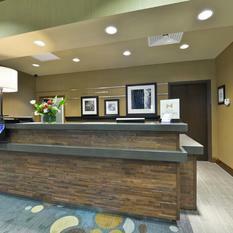 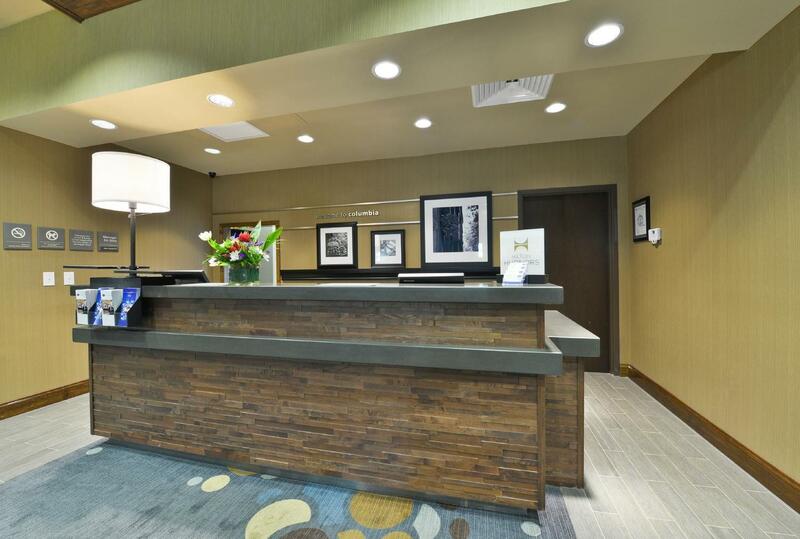 Unwind with a carefree vacation at Hampton Inn & Suites Columbia/Southeast-Ft. Jackson hotel in Columbia, SC. 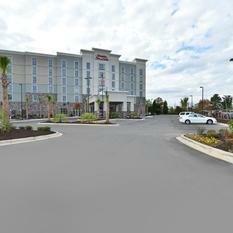 Set just off I-77, exit 9, our hotel is only five minutes from downtown Columbia and five minutes from Ft. Jackson. 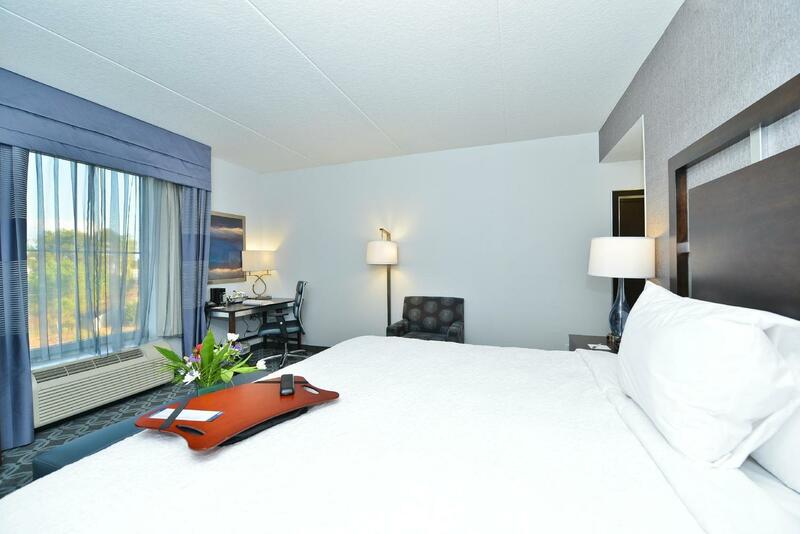 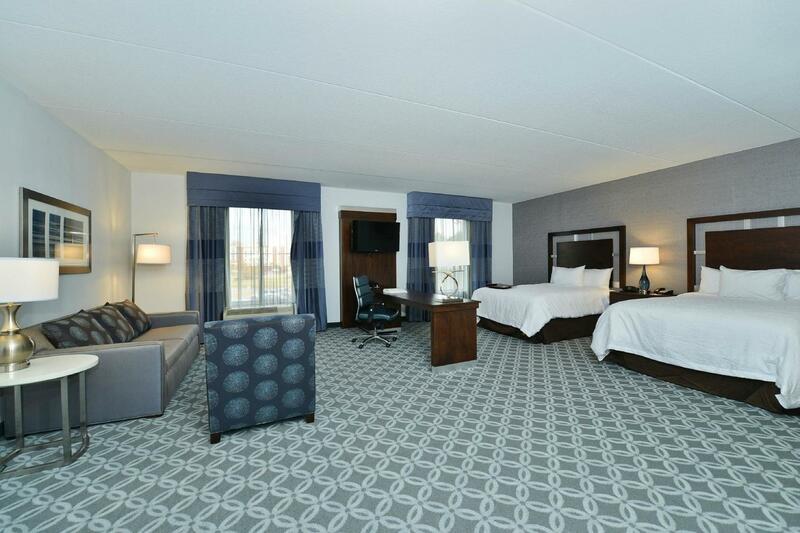 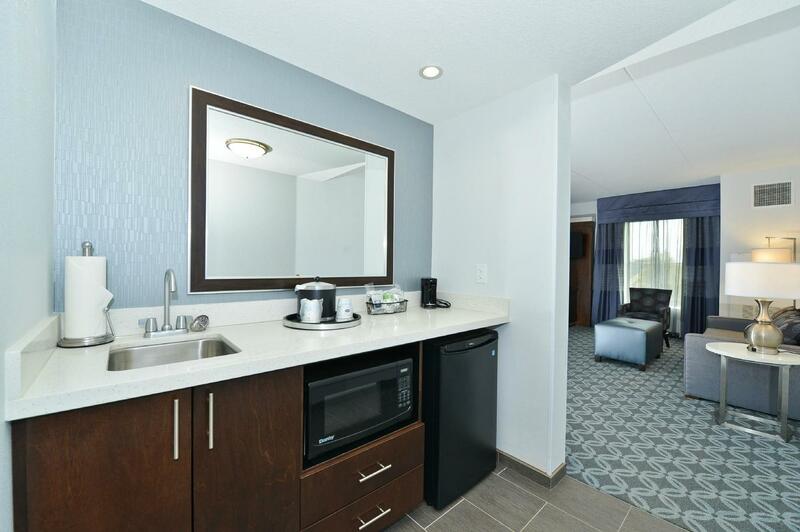 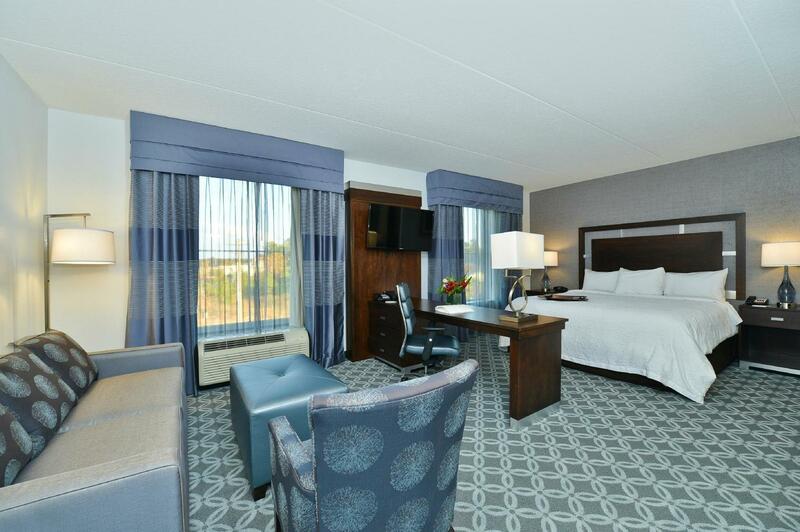 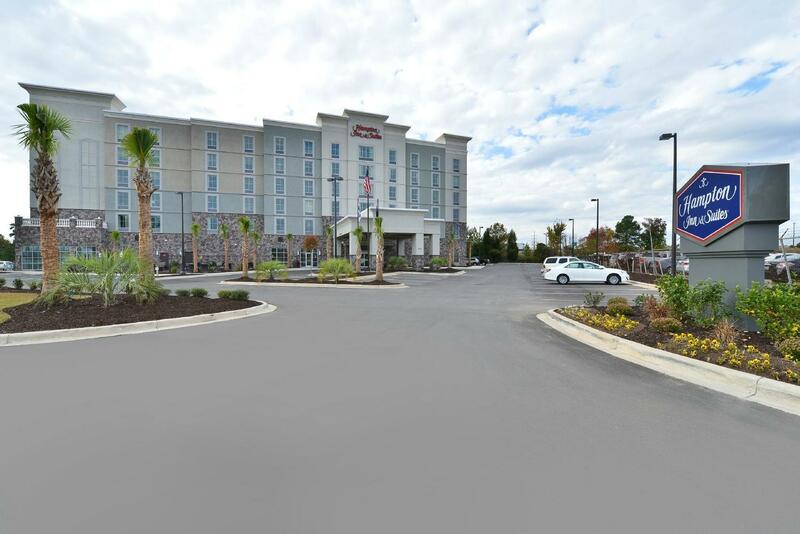 The hotels convenient, central location offers easy access to the University of South Carolina, Williams Brice Stadium, Amazon and Westinghouse. 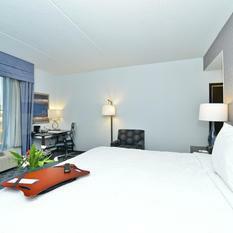 Our hotel also offers easy access to restaurants and shopping. 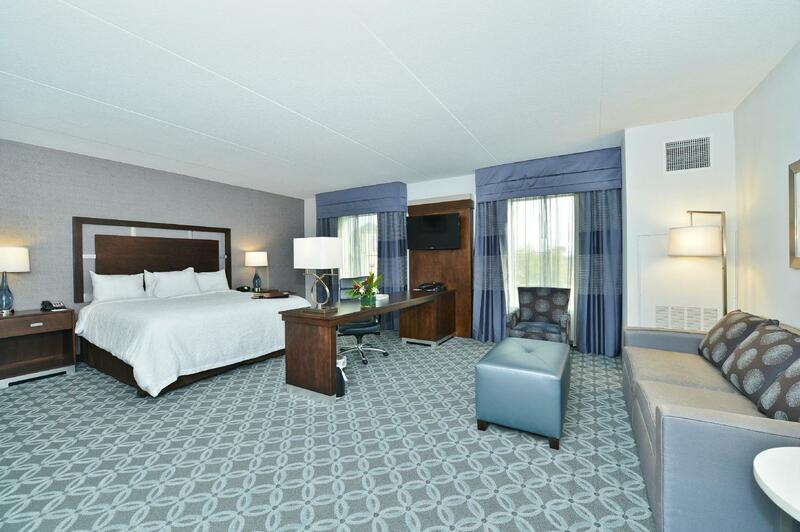 Refresh and recharge with a great night’s sleep in a clean and fresh Hampton bed® and discover comforting amenities in your spacious guest room including free WiFi. 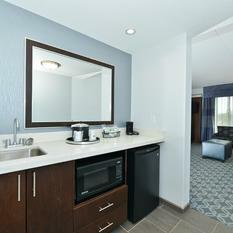 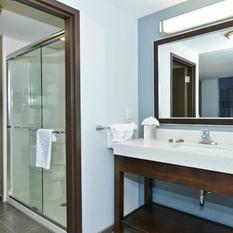 Choose a studio suite with a large living area featuring a pull-out sofa bed, microwave and refrigerator. 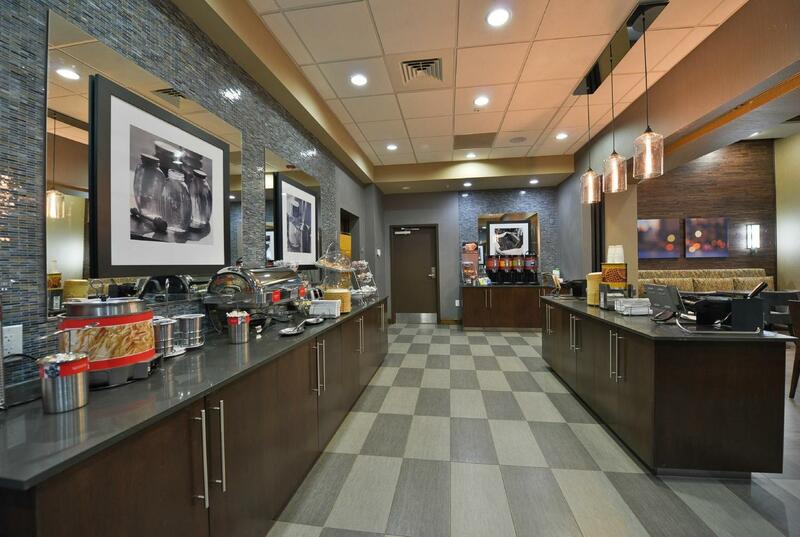 Wake up to Hampton’s complimentary hot breakfast. 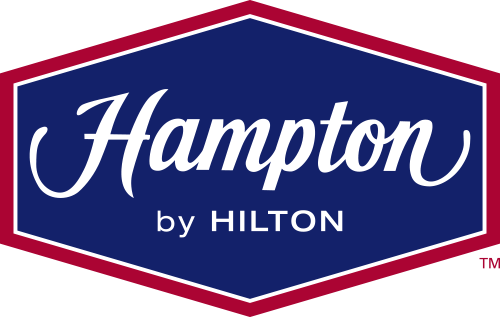 Even if you're in a rush, simply grab one of our free Hampton On the Run® Breakfast Bags, available Monday through Friday, for a quick and healthy meal to go. 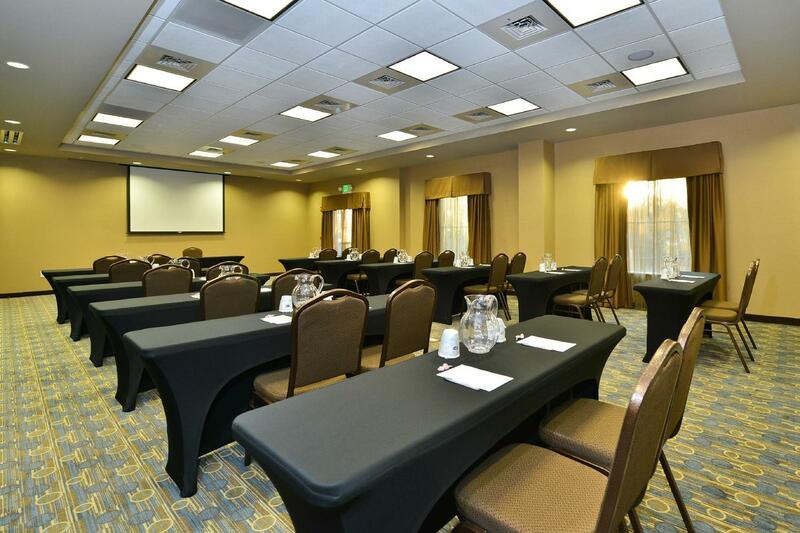 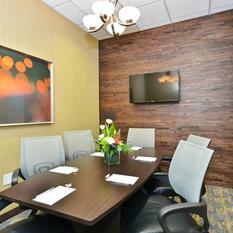 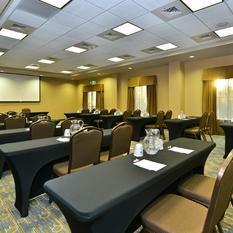 Celebrate your special event or corporate meeting at our hotel in Columbia, SC, presenting a versatile function room for up to 80 guests. 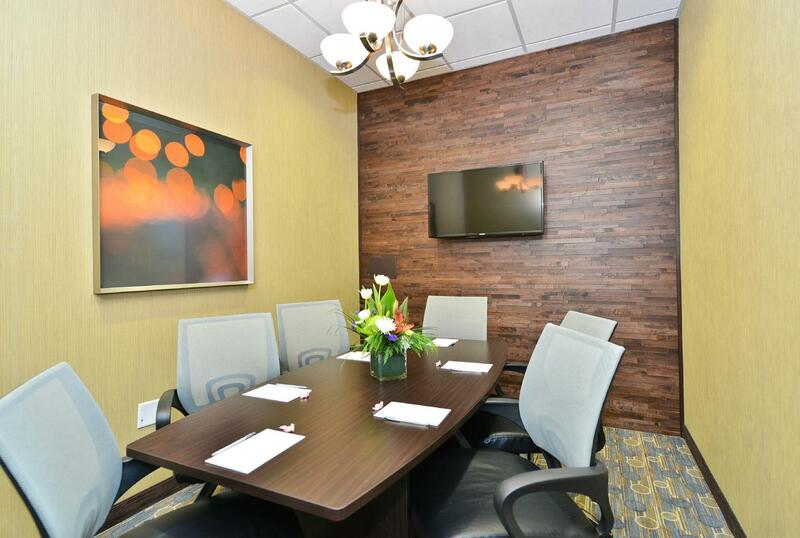 Catch up with work in the business center with free printing, and keep in touch with free WiFi in public areas. 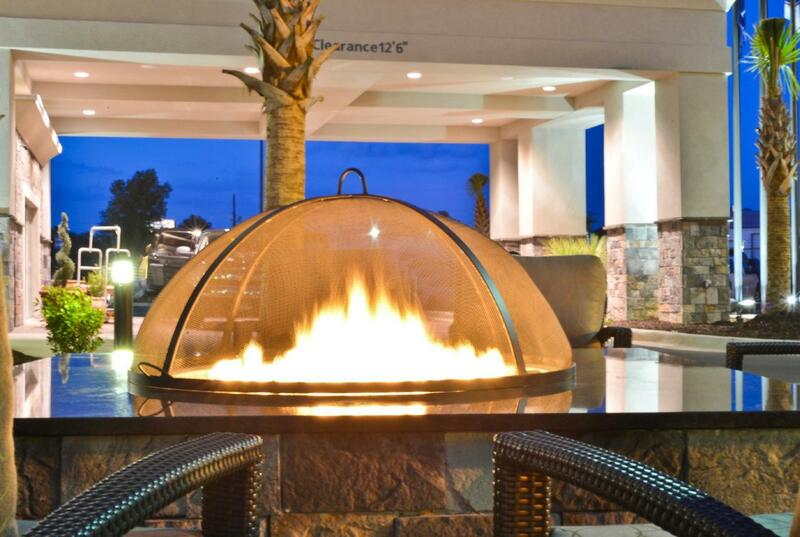 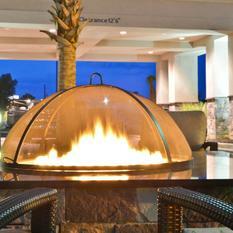 Gather with friends for an evening BBQ on the outdoor patio that features a fire pit. 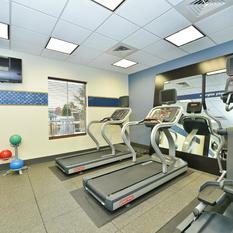 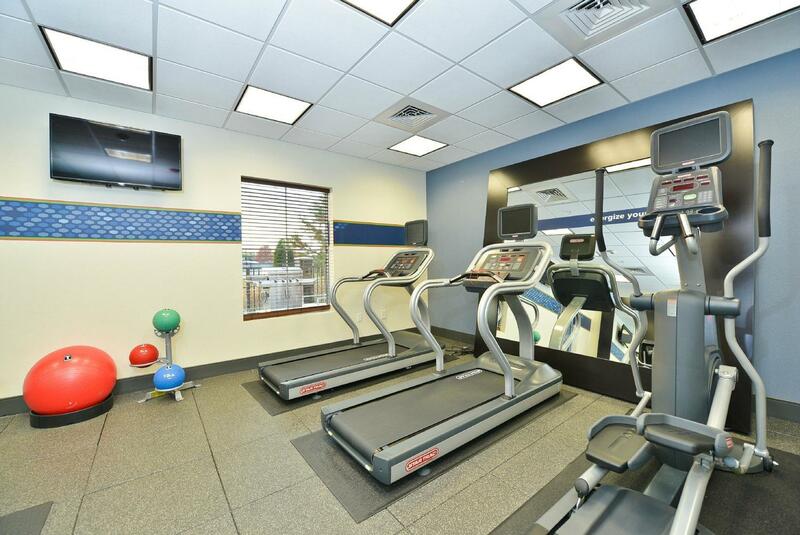 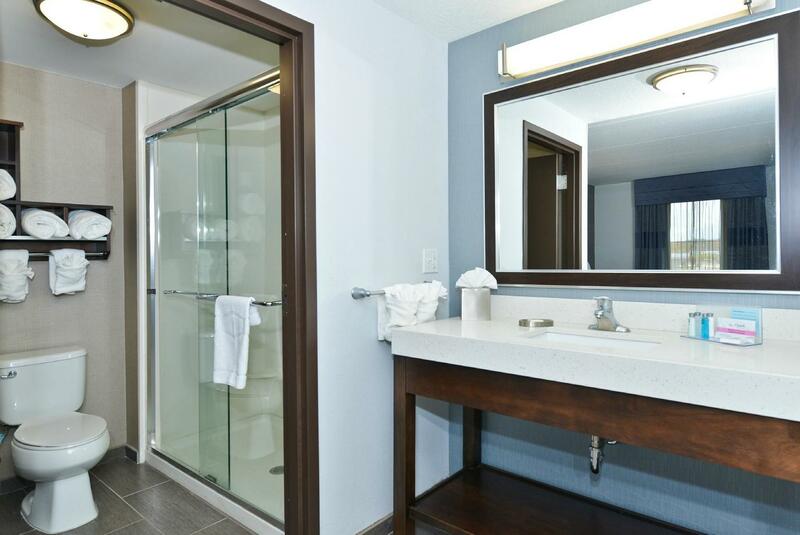 Boasting the latest, modern exercise equipment, this Columbia hotel offers a fully equipped fitness center. 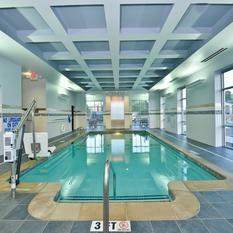 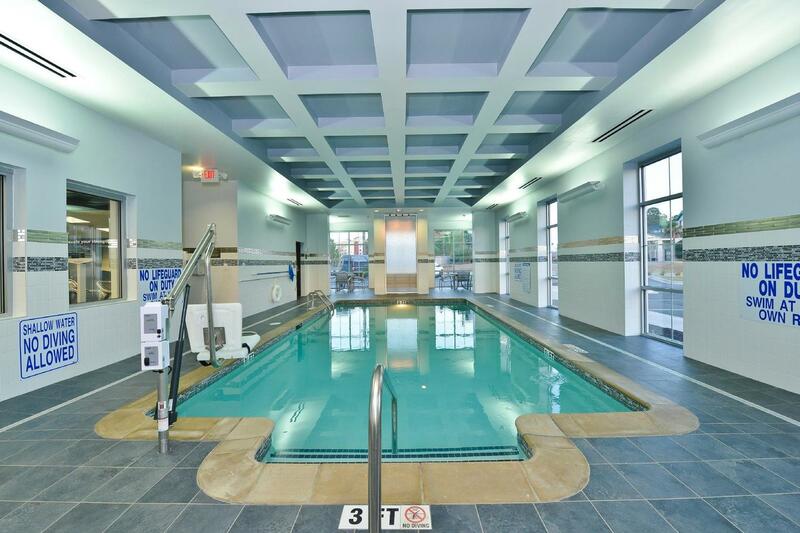 Maintain your exercise regimen while you travel and plunge in the soothing, indoor pool.